Experience the “greatest site under the Smokies” at Tuckaleechee Caverns, a fascinating cave system estimated to be between 20 to 30 million years old! During your 1.25-mile roundtrip adventure into the cave, you will be able to view millions of formations including a 12-foot-high stalagmite referred to as the Totem Pole. One end of the tour features a massive room where you could almost fit an entire football stadium, while the other half of the tour features Silver Falls. 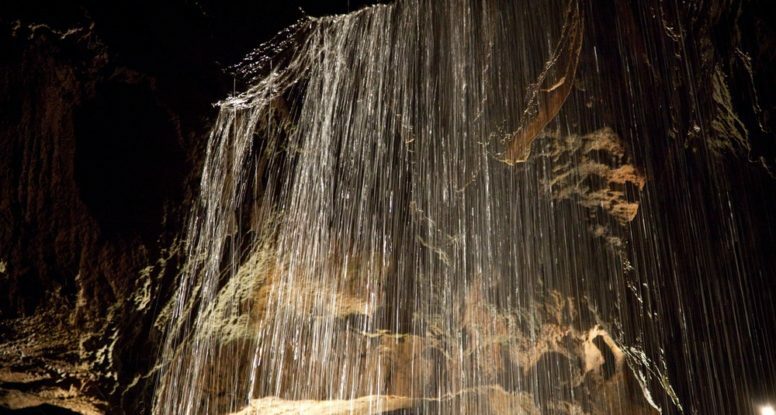 This stunning waterfall falls 210 feet from top to bottom and is the tallest subterranean waterfall in the eastern USA! One of the most interesting attractions in Townsend TN is the Little River Railroad and Lumber Company Museum, which preserves and exhibits the history of life on the Little River. The Little River Railroad and Lumber Company was founded in 1901 and grew to be one of the largest commercial logging operations in southern Appalachia. During its 38 years of operation, the company constructed 150 miles of railroads and sawed 560 million board feet of timber! Today, you can visit the museum to enjoy historical artifacts such as a vintage caboose, two vintage flatcars, a log loader and Shay engine that had been used in the logging operation. 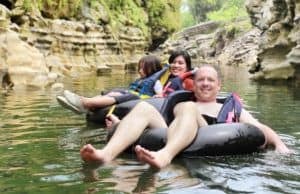 If you prefer an exciting day out on the river, head to the Townsend location of River Rat Tubing! This professional outfitter offers tubing on both the upper section and lower section of the Little River. The lower section is situated at the main outpost A and is a family-friendly float with scenic views, several rapids and even a rock jump! 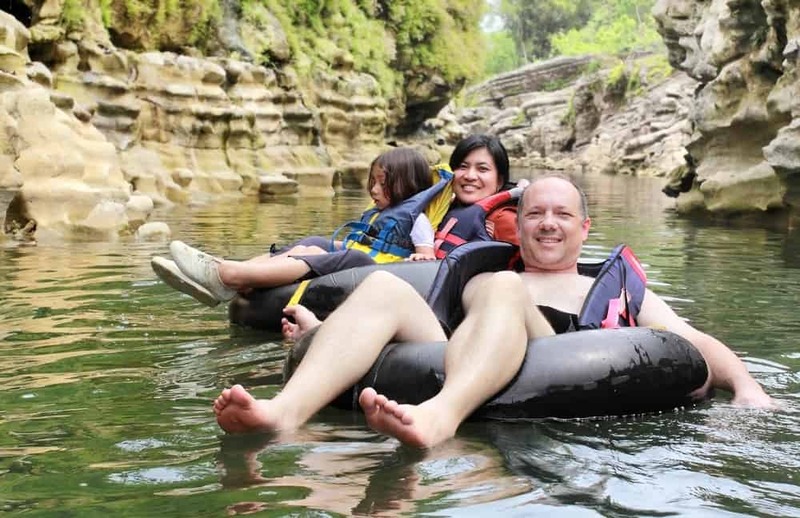 For those that want even more adventure, check out the upper section at tubing outpost B with action-packed rapids and refreshing swimming holes! Travel thousands of years in the past at the Great Smoky Mountain Heritage Center! This wonderful museum is dedicated to honoring the early settlers and inhabitants of the Great Smoky Mountain region, including the Native Americans. While visiting the museum, you can experience the rich Appalachian history of East Tennessee with artifacts such as pottery and stone tools. You will also have the opportunity to wander through the Historic Village, a collection of 13 historic buildings that have been transported to the Heritage Center and furnished according to the period in which they were constructed! Check out all of our cabin rentals in the Smoky Mountains today to plan a vacation near these fantastic attractions in Townsend TN! We look forward to seeing you soon at Hearthside at the Preserve!